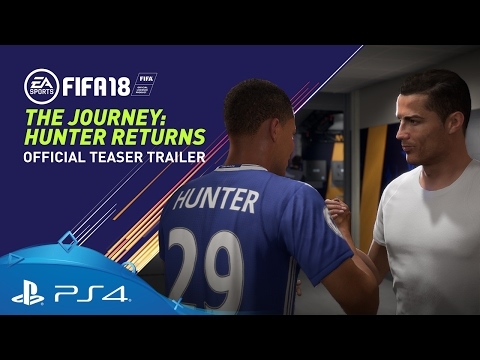 Powered by the Frostbite engine, EA SPORTS FIFA 18 blurs the line between the virtual and real worlds, bringing to life the players, teams and atmospheres of the sport. 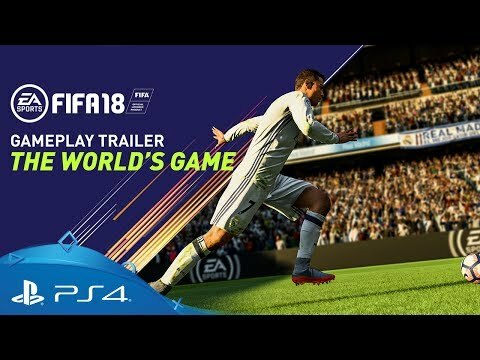 With the motion capture of Cristiano Ronaldo – the reigning FIFA Men’s Best Player, back-to-back European Champion and global ambassador for FIFA 18 – the Real Madrid superstar helps deliver even more fluidity, player responsiveness and other incredible gameplay elements. 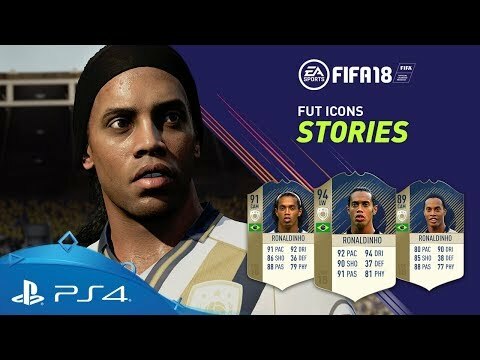 And in FIFA Ultimate Team, the world’s best FUT Icons, including Ronaldo Nazário are coming to PlayStation 4. Get the full details on all the new features available in FIFA Ultimate Team 18, including Squad Battles, FUT Icons and the FUT Web App. Find out everything you'll need to know to start building your own championship squad in EA Sport's FIFA's most popular game mode. 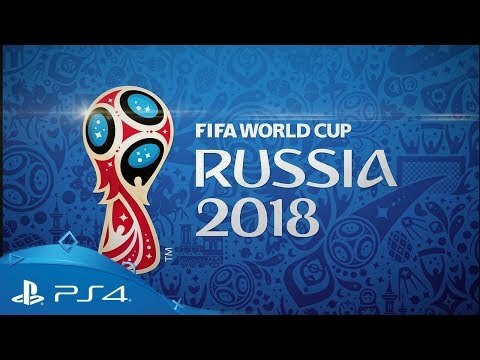 Feel the excitement and drama of football's greatest event with the authentic tournament experience through official FIFA World Cup elements, featuring all 32 qualified national teams, match balls, stadiums, and the iconic trophy - rendered in the Frostbite game engine for the first time. Play FIFA's most popular mode in the new, exciting FIFA World Cup Ultimate Team experience. Build your dream international squad with stars from all 32 qualified nations, plus legendary FIFA World Cup Icons. Ready for the try outs? Begin warming up now for the season ahead. 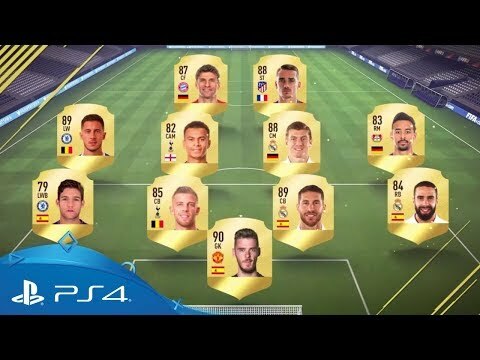 Buy EA SPORTS FIFA 18 on PS4. 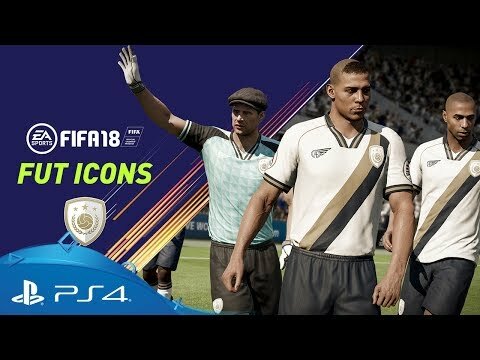 Experience the best of football on PS4 with EA SPORTS FIFA 18, UEFA Champions League highlights on the PS FC App and more.